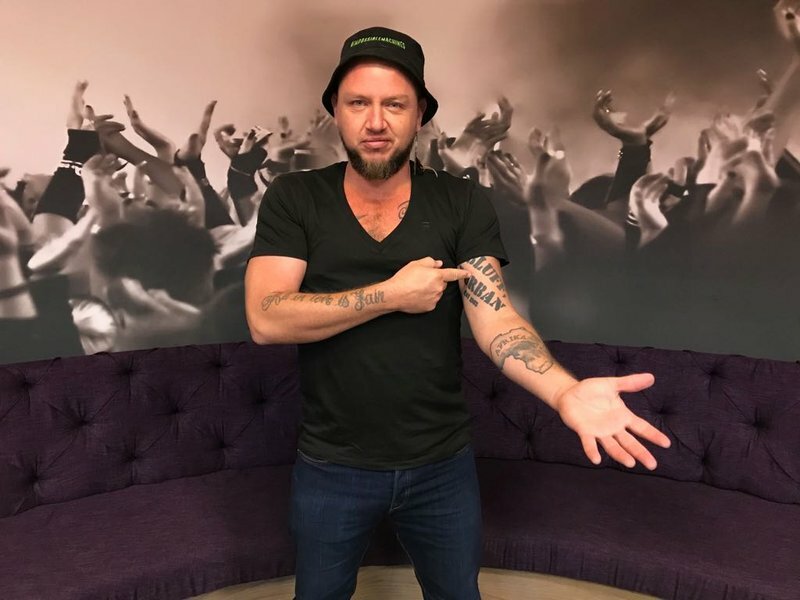 Just Jinjer frontman Ard Matthews has a hot new single and trust us you want to hear it! The legendary South African musician joined us this morning, where he took the Breakfast team through the exciting creative process of how he makes his music. After many years with Just Jinjer the singer has decided to release a new solo project with a brand new album called "Impossible Machines". The title track off the album is a haunting and moving account of mankind's dependency on gadgets and devices. It will be released in May but Ard decided to give you an exclusive first listen on Breakfast with Martin Bester. Considering that today is the start of the long weekend, why not turn Ard's visit into a 'Fake Friday Live'. With his guitar in hand, he set the mood for as he strummed a few cords and performed ‘What He Means’ live in studio. ALSO READ: Martin Bester se nuwe musiekvideo is hier!